Happy Day 2 of Advent everybody. I trust you all have a kitschy Advent calendar that you are using to count the days of this joyous season. Just remember; only open one door at a time. Don’t be tempted for the prize behind tomorrow’s door. Really, the whole thing is just an exercise in patience. Phil and I are keeping up with Christmas at a good pace. This past weekend was the opening of the Christmas markets and we’ve already been to three. Last year I made it to six; and the markets are fun, but we’re not trying to beat my record this time around. As tempting as Glühwein mit Drei im Weckla (Hot wine with three sausages in a bun) can be, one needs variety in their holiday diet. These photos are from the Christmas Market at Gut Wolfgangshof. It’s my favorite. 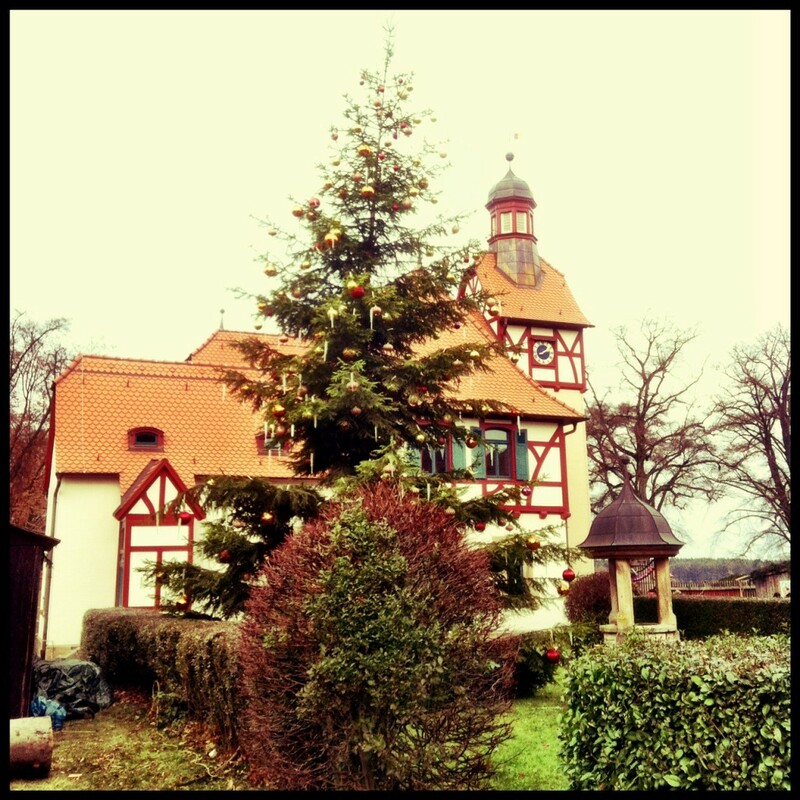 It’s set at an old German estate in Anwanden, Germany; and it has delicious food and wonderfully fine handmade crafts. This location truly feels like a travel back in time to the days of the early Christmas markets. “When is that?”, you ask. 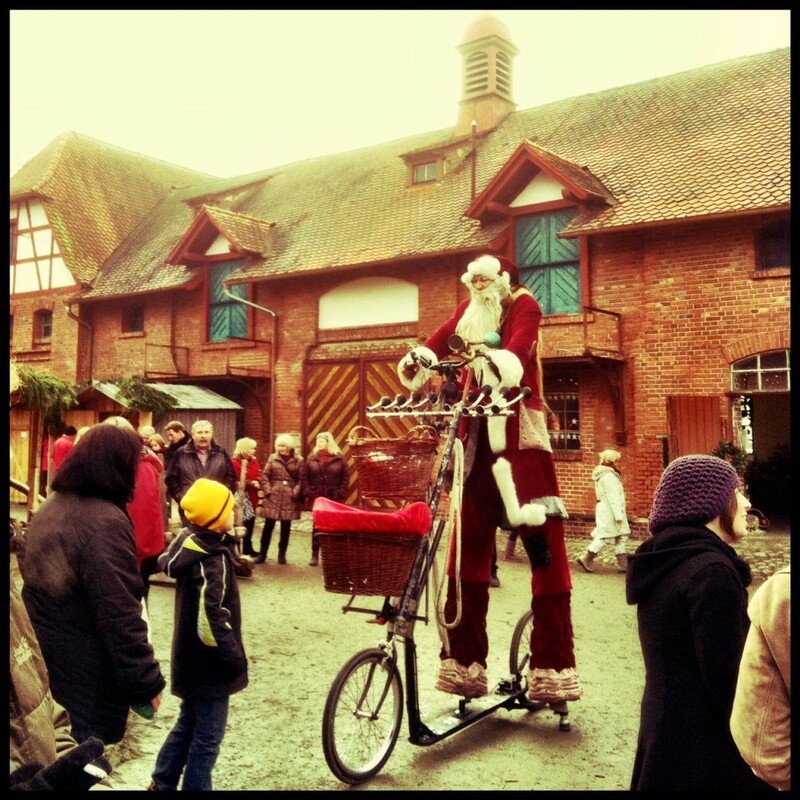 Well, who knows for sure, but there are markets recorded in Germany, at Christmas time, as early as the 14th century. Actually, there is one on record in Vienna in 1294. I think that’s crazy. The people that are attributed with the birthing of my country weren’t even themselves born yet, and Germans were already busy securing the foundations of fabulous holiday festivities. 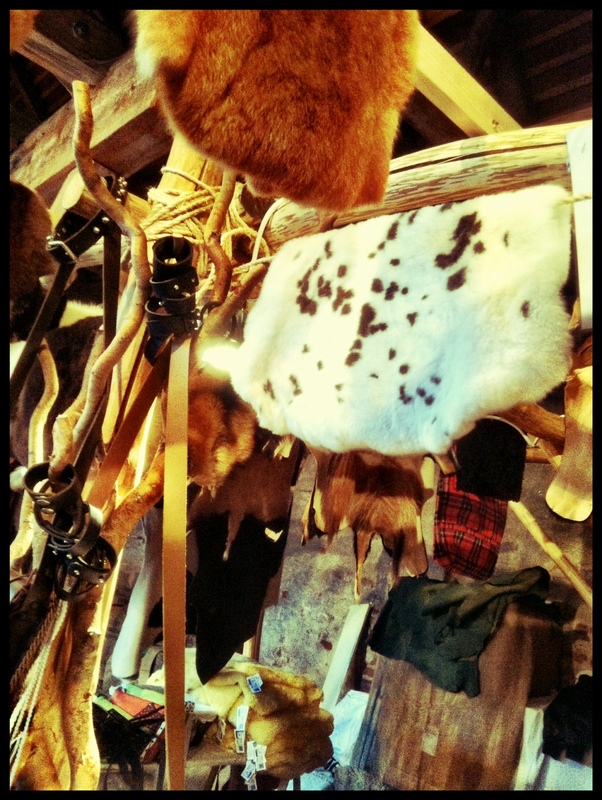 Fur Stall at the Winter Market. 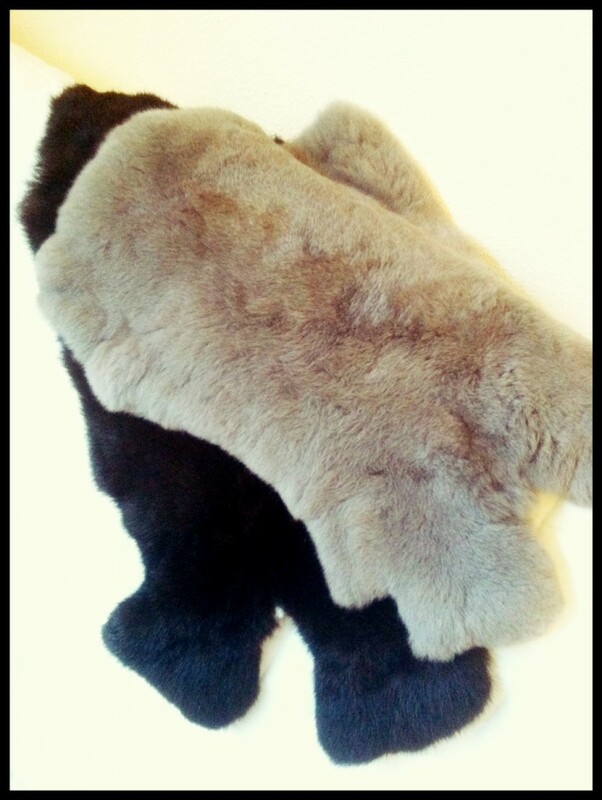 This market in Anwanden is also where I buy my fur for Florida Scarf. I get it from guys that have a farm in Leipzig. They travel all the way down here with quality crafts that range from the furs and leathers themselves, to hide purses, mittens, vests, belts, and moccasins. My customers seem to all admire (if not enjoy wearing) scarves with a touch of fur. Of course I always have Ludwig’s Bisam and Steinmarder, but it is nice to have the rabbit too. This year I bought gray and black. I must admit, I am excited for the design potential with the gray fur. I think it is going to be much different than the usual brown and black. This entry was posted in Germany, Travels, Uncategorized and tagged Anwanden, christmas markets, florida scarf, Fur, germany.